Decorate-Redecorate.Com - Learn More! Earn More! Interior Redesign Business in 7 Days or Less . . . Even With No Experience! I’m going to hand you the easiest and most affordable way to start your own lucrative interior redesign business and get you ready to start making money within a matter of days, not weeks or months. I'm going to take you on an elevator to the top when it comes to learning the redesign business! I'm talking about virtually all of the essential concepts, tactics, strategies and insider tips you could possibly use to make the kind of money you've always wanted in a very creative, fun decorating business of your very own. – All for a TINY fraction of the time and money you would have to spend if you attended an expensive seminar or class! Hello. 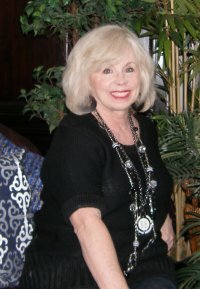 My name is Barbara Jennings and I am the West Coast Pioneer in the Interior Redesign Industry, having started in 1986. I have achieved total and complete financial independence with my redesign business. And if I were to isolate the one thing that has given me the most satisfaction, above anything and everything else, it is the knowledge that I have helped average people reach out for their own dreams and goals and make them a reality. I began rearranging my client's furniture and accessories nearly 20 years ago because I wanted to be able to help average people, the kind of people who couldn't afford a high priced interior designer. As I thought about the homes I had been in, I realized that the vast majority of people did not understand the principles involved in arranging what they owned. There was a dire need for a service to correct this. That's when I realized I could easily offer such a service - something very affordable, at least to middle income homeowners. That was the beginning of a very creative, fun and almost no-risk business adventure for me. I can teach you how to take your passion for decorating and turn it into a rewarding career. I can teach you how to take this fun business and be a stay at home mom, making supplemental income to help pay bills. I can teach you how to take your business to a professional level, even earning a six figure income. Whatever your dream or goals, I know how to help you achieve them. But before I say anything more, let me quickly suggest to you that if you're contemplating taking an expensive redesign seminar of any kind, please hear me out first. You're going to be reading about a very important alternative to expensive seminars - an alternative that even has a 30-day money back guarantee. You can always take the seminar later if you want, but does it seem wise to take that leap with no possibility of any refund before you've looked at any other options? If you'll bear with me a few minutes and read this entire letter, I promise you I'll give you some really good "food for thought" and you'll come away feeling very glad you took the time. Whether I'm teaching someone how to decorate their home using what they already have, doing it for them or teaching people how to start their own businesses, I've been able to put down in writing for them the specific steps needed to accomplish their goals. I've been able to take complex issues and tactics and concepts and make them easy to understand and implement. Financial freedom is not out of your reach any more than it was out of mine. You just have to know how to get there and you have to be willing to put in the time to learn and take it step by step. You've probably landed on this page because you have an interest in decorating and you also are interested in how to earn extra income in the growing business of interior redesign. And you've probably already seen some expensive seminars out there in various parts of the country that range in price from $2500-$3500 on the average. And now you're totally confused because they all claim to be the best of the best. Then you run across me and you're naturally wondering right off the bat what makes me different from or better than everyone else when it comes to helping you make money is this highly popular industry. Quite simply, one of the most obvious differences between my training program and the rest of them out there is that I have made it possible for the average creative person to have a shot at breaking into this fabulous career without "breaking their piggy bank". And I'm the only one who offers a 3-day money back guarantee on top of that. a home study training course unparalleled anywhere. for a more comprehensive list of what you will learn, keep reading. You might be surprised to know that we are now ranked the No. 1 training program in the world. It's not just because we are so affordable, but it's because our students are enjoying success right and left. We believe you deserve to be taught by the most innovative teacher you can find - someone who stays abreast of what's happening in the industry - someone capable of passing on to you the most cutting-edge strategies and techniques available at any given time. Doesn't it make sense to train with the person the rest are trying to emulate in some way? They chose to take the steps. You can climb on the elevator and shoot to the top and be on your way in less than 7 days. What's that worth to you? Should be worth a whole lot. Every day you delay in starting, someone else is gaining the advantage over you and may be developing their business just down the road from you. "I bought your manual and it is terrific! I've already landed a big job using some of the marketing ideas you included in the book. - Peggy Conger"
The first thing I want you to do is answer the questions you should be asking yourself right about now. Can people learn interior redesign from an online course or a book? Absolutely, unequivocally YES!!! Why do you think so many colleges and universities are now offering online courses to students like never before in a wide variety of subjects? Why is the book publishing business a multi-billion dollar industry? Every year there are more and more classes going online. The students benefit in a multitude of ways, such as lower fees, total flexibility, total convenience, the ability to work at their own pace, the ability to get a 1:1 student/teacher ratio. My daughter took 3 online courses in college and they were excellent classes, which she enjoyed very much and learned a tremendous amount. Interior Redesign is being taught very effectively online as our many students will attest to so don't let anyone try to convince you that it isn't effective. It most certainly is effective - and best of all it's the most affordable way to learn too. Do I want to train with a "pioneer of one-day re-decorating"?I am the West Coast pioneer in the concept of one-day decorating or redesign, having begun in 1986 in Southern California with no one to train me at all. I know my stuff and I share it all thoroughly and willingly. I have owned and managed successful decorating and design businesses since 1972. Unlike some programs who hire "professional public speakers" to present at seminars or who allow "newbies" to hang out a shingle and promote themselves as an experienced trainer, every word of my training was written by me and is based on my own redesign experiences and expertise, plus a few talented people I have trained. Guaranteed. This training program is now ranked the #1 Redesign Program in the world. There's a reason for that. I train more people in a single month than most of my competitors train in a whole year. And not just because I'm so affordable either. I'm #1 because I'm good at explaining the concepts and showing you what to do and how to do it. 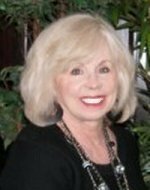 "Hi Barbara, I have been passionate about home redesign for 4 years and after completing your training I was able to become a sought after home stager in addition to redesign. Miracles Happen! I am now privileged to work with successful real estate agents in my area. I have an ulterior motive. What is it? To lift my clients spirits and help them provide a beautiful environment that is pleasing for personal use or a top dollar sale of their property. Thank you Barbara for helping craft my talent into a profession that offers service to others in a tangible way. As a side benefit of being trained by the best, I will have an article appearing in a magazine next month and have been listed as the home stager referred and selected by some of the most prominent real estate agents in my area (San Luis Obispo, California). All this is a direct result of your training. - Maria Skelly"
Do I want to be associated with other re-designers who are professional? I will train you in redesign etiquette and give you the standards of professionalism I expect from myself. The rest is up to you. Do I want to associate with other professionals who believe in educating their clients and respecting their wishes, not promoting their own private style? I want all clients to learn from their mistakes in a gentle, encouraging manner so that they will feel more confident in their decorating choices long after I am gone. I encourage all re-designers to strive for the same goal. I like the idea experimenting on my own home first, then of expanding my hands-on training to benefit my friends. I wouldn't want to charge them anyway, so I see that as the perfect way to "practice" before I offer my services to the general public. I don't know about you, but I recognize that I will learn much better when forced to rely on my own mental decision making processes right from the start and that will make be a better re-designer than leaning on the opinions of other "newbies" or a teacher whose ideas might be totally different from my own. Consider this. I also like the ability to learn instantly without having to wait for someone else's schedule to unfold. And I love not having to worry about whether they will cancel the training because they didn't get enough students leaving me with a useless airline ticket and hotel reservation. So remember this second thing: If you walk with the healthy, you will learn to sprint! If you're looking for a way to make a quantum leap to the highest levels of creativity, effectiveness, ease and speed at the most affordable training investment anywhere, and if you know you're smart enough to learn simple concepts without the need for a classroom environment, then you've come to the right place, right here, right now. If you're not looking for that, then you might as well stop reading here. It's okay. It's not for everybody. But if, however, you have a growing fascination with decorating, with doing what you love and getting paid for it, of working with people in a fun and challenging field - if you're wanting to elevate your skills in business, as well as design, then this is the money-creating training program for you. I am convinced that the most important one thing you should concentrate on is whether you have found the trainer that is the most capable one of teaching you how to be successful no matter what level of "talent" you have in the interior redesign area. Failure to properly decipher which trainer has this secret "nailed" can make all the difference in the world. Failure to properly decipher who can lead you down the right paths can mean the loss of thousands of dollars to you. That's why I'm so pleased to present my superior training program to you with all of it's convenience, affordability and risk-free guarantee. If you will master the skills I will teach you, you will then hold in your hand the keys to open virtually any vault you like - remove virtually as much from it as you like - and create the life you want. Conversely, not mastering this secret will imprison you in many different ways. It may enslave you in a never-ending job, something with diminishing income potential and makes you old before your time because of the stress. It may put you in a situation where other people criticize your business methods and want to secretly hold you back. I redesigned the living room for a woman last week who had been the head accountant for 30 years for the Los Angeles School District. She had retired and quite literally didn't want to ever "think" again. Her whole life now is bent on find something creative to do with her life, something she doesn't have to think about. I can't imagine going through 30 years of my life in a high pressure career position that leaves me totally exhausted at night and weary of any type of thought. This is another reason why I've been so dedicated to offering students a truly viable alternative to the high priced seminars floating around. It shouldn't be an opportunity available only to people who can pay thousands of dollars to learn. Rearrange It! is a rich how-to eBook (also available in printed format) that has been written recently by the West Coast pioneer re-designer in the "redecorate, using the furnishings you already own" concept that has totally revolutionized traditional interior design. With all the exposure on the cable TV decorating shows, it's becoming more and more popular each and every week. 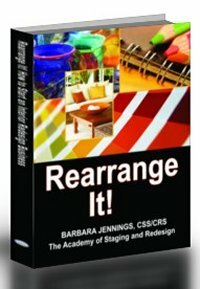 Rearrange It is the exclusive basic redesign training I published in 2003 and update yearly. (I have followed that up with Advanced Redesign in 2005 as a sequel to Rearrange It. A link to that training is on my home page). I have been offering this service to my clients since 1986, when I first introduced it at the Orange County Home Decorating Show in Costa Mesa, CA. I'm Barbara Jennings. I have authored the popular books, Decor Secrets Revealed, Rearrange It, Advanced Redesign, Where There's a Wall - There's a Way, Great Parties, Pro Art Consulting and co-wrote The Secret Art of Hanging Art. This particular training, Rearrange It!, will teach you virtually everything you need to know to start your own home based decorating business as a rearrangement consultant. Whether you want to work part time or full time, now you can learn to do what I and others like me have been successfully doing for years. I'm the largest, most affordable trainer in the world and my students have not only saved a great deal of money on training, they have gone on to develop lucrative businesses for themselves. You can too. Let me remind you. You don't need a degree. You don't need to be certified. You don't need to be part of any association - not mine, not anyone's! To help you further, I'm also including 33 furniture arrangement layouts (Value: $59.95) that will solidly help you resolve just about any rearrangement dilemma you'll ever face in a living room or family room. So if you're ever unsure of where to begin in a client's home, simply refer to these pages for guidance on how to arrange the furniture. It's just like going to 33 homes and actually setting up the main seating arrangement for the living room or dining room. What can I say? This is powerful stuff! "When I was still in my twenties, I was tapped to be president and CEO of a computer company. In a Board of Directors meeting one day, I was defining one of my officers who was under criticism from some of the board members. A gruff old Italian gentleman on the board maintained silence during the meeting (I think in order to avoid embarrassing me), but he came up to me after the meeting, put his arm around my shoulders, and said, 'Henry, my boy, just remember one thing: If you walk with the lame, you will learn to limp." I never forgot it." Have you noticed how many great testimonials I have just on this one page? I could put a ton more on here but I don't want to wear you down. Later if you're interested, I'll give you a link to my testimonial page where you'll see a huge array of very happy people who've written me without ever being solicited. In my ever constant quest to make my trainings, products and services even more valuable to you, I have just added the equivalent of 10 extra pages of Super Marketing Strategy concepts gleaned from the best minds in the country on how to build and sustain a business and outdistance the competition by leaps and bounds. That's just what I've been able to do myself. These guys earn thousands of dollars per hour just for their ideas and strategies. This section isn't for the non-dedicated newbie. It's for those few of you who are really, really serious about having a redesign business of your own (or any business for that matter) that can grow into a very highly profitable enterprise. It won't be for every one of my readers, but it's there for those of you who are truly serious and committed. Look for it in my manual. It's powerful stuff. That part of the equation is also available right here on this web site. Rearrange It! Revised (2008 electronic book, which you can read instantly on your computer) or (the 2012 edition 176 page non refundable printed manual, 8-1/2x11) has virtually everything you need to start your business off right! It has been hailed as the best book on the market for the interior redesign business start up entrepreneur. To make the training more accessible to everyone, 2017 Rearrange It! Revised has also been published as a 176-page printed version including The Secret Art to Hanging Art in the back (17 pages). Now you can either read it on your computer in the eBook format, or order a soft cover printed version to study and take notes apart from your computer. We recommend you acquire the training in an eBook format first if you want to preview it, and then order a manual if you like. But we have plenty of students who order the manual from the get-go. More about this later. Just imagine yourself creating the most beautiful arrangement in a client's home and having your client's mouth drop open as you show her a whole new and refreshing way to arrange the room that she never thought of doing before! That's the fantastic feeling I get every time I go on a consulting appointment. "It's always a decorating challenge that's creative, instant and very rewarding. Within a matter of 1-2 hours, I can literally transform any room out there and turn it into a decorator's showplace, and it doesn't matter what style it is, what the configuration of the room is, what type of furniture and accessories are there, nor what kind of condition they are in. I will teach you how. Does That Sound Like Something You'd Like? You don't need a degree in interior design to do this kind of service. You do need a good working knowledge of how to arrange furniture and accessories (provided for you in Decor Secrets Revealed, right here on this web site), but other than that you just need to learn how to provide the service, get the appointments and bank the money! Don't let anyone convince you it's complicated. It's not. You will also be given my direct client-only email address just for those who purchase my training materials so that you can ask me questions that pertain to your own situation. I am a world class trainer - the No. 1 Redesign Trainer in the country - well, actually the No. 1 Redesign Trainer in the world, for that matter. What's that worth? You'll have access to me and all you need to do is send me an email and I'll personally respond right away - usually the same day she gets your email. You won't get some assistant either. You get me. No other author offers you that, just for the price of a book! You see, I recognize that concepts and theories, principles and procedures are great, but sometimes people need more input just for their situation. Without proper application of the best strategies in the world, you'll not gain what you hope to gain. That's why I'm willing, as a special free bonus. You will also receive my FREE Redesigner's newsletter and a listing in the redesign directory (VALUE $359 per Year) which will focus on all kinds of concepts, tips and training for starting, developing and managing a home-based business as a redesigner. Right now getting a subscription and listing is FREE with your purchase, however, that could change in the near future, so act now. If you do not wish a business listing, please notify us immediately. Listings will include whatever phone number and email address you use at the time of purchase unless you notify us separately of a different contact means you wish listed. As I stated above, you'll also get 33 actual furniture arrangement layouts (Value: $69.95) for the main seating arrangements you'll most likely encounter in a living room or family room. These two rooms are the most common rooms in desperate need of re-design out there. These are the rooms you'll most likely be hired to redecorate. So these layouts will serve as a very handy guide to help you resolve just about any decorating dilemma you're likely to run across. No one offers you this kind of detailed training - no one. The most you'll get from my competitors is some guidance on rearranging 2-4 homes, and you won't wind up really understanding arrangement design with so few situations to analyze. I give you 33 arrangements to study and analyze to help you really feel confident from the very first day. BONUS GIFT #7 To help you even further, I've added a list of 515 Redesign/Home Staging Business Names (Value: $59.95) which you can choose from or to trigger your own creativity in selecting an appropriate business name. I've tried to cover all of the essential things you either need to know or do to get your new business off the ground as soon as possible. You won't find this kind of detailed help anywhere else. Total Value of Bonuses: Priceless! That on-going promise to personally help you should convince you how serious Barbara Jennings is in wanting to help those that would like to experience the creative world of interior design and have their own part time or full time business as well. Jennings used to have one of those dead-end, boring left brain jobs working hard for someone else who treated her poorly. She got out of the employee rat race in 1972 and has never looked back! So can you! No single training program can be all things to all people. But there are some misrepresentations here and there. Some claim 1) You can't be successful unless you are trained by them in person; 2) That you can't be successful unless you join their association afterwards; 3) That you can't possibly learn the redesign business thru an online course or home study course (Nonsense!). 4) That you can't be successful unless you are certified by them. I'm enjoying a thriving, six-figure income in redesign. Even better, I've helped hundreds of people do the same thing, though usually on a smaller scale (don't forget, I've been doing this a while). So I know without a doubt that I can help you too. To back up my claims that I have a very strong, thorough, informative training program tailored just for your needs, I offer you a complete money back guarantee on any one of my eBook versions. You'll have 10 days to preview my material and if you're not happy, simply ask for a refund. I hardly ever have refund requests, and usually when I do it's for some technical issue on one of the eBooks. You can acquire all of the talent in the world, but if you don't know how to market your business, your talent is useless and your "training investment" a complete loss. Marketing your business is the single toughest issue any business owner faces. Marketing your business is one of my strongest suits. I will give you solid training and guidance in the design portion of the business in my eBook Decor Secrets Revealed and in a few other books I've written. But the core of the training you really need is in how to start, develop and market your business. I will then continue to support you with my monthly business building newsletter and my free email mentoring service. You won't get that level of support from anyone else. So I repeat. You don't need a degree. You don't need to be certified. You don't need to be connected to any association! You don't need a seminar. Yes, this business will be easier for some people than for others. But everyone gets the same quality training tailored to suit them. What you do with it, of course, is up to you and what goals you have. This isn't your average how to start a home based business program. This is focused exclusively on the specific business of offering a rearrangement consulting service to homeowners. All of the information is tried and true and backed by years of experience. It's not theory made up by some "expert" who has never been involved in the business or who has only just begun. It's practical, how to secrets, tips, procedures and methods by a bona fide interior rearrangement specialist of over 16 years. No games! No fluff! No misrepresentations. No false claims. No scare tactics. Just the real stuff! You see, you deserve to have the best-reasoned, the best informed, the most objective and knowledgeable advice you can get so that you can make intelligent decisions regarding your future, so that you don't live to regret paying out a small fortune for information that proved to be inferior or incomplete or that didn't motivate you and sustain you or that was, quite frankly, overkill to justify a high training fee. I don't want to see anyone get caught off guard, wind up misguided and or make critical, imprudent decisions that could set them back. That's why I've made my training program so affordable - so easy to accomplish - so tailored to each student's needs and resources. But I Can't Stop You . . . But I can't stop you if you're determined to pay out thousands elsewhere. Expect to pay between $2500 and $3500 on average for a 5 day seminar (slightly less for a 3 day), and that doesn't include your air fare, hotel and meals should you live some distance away from the trainer. More importantly, you won't learn any more of the essential information there than you can get in my basic redesign training manual (and "Decor Secrets Revealed") for a fraction of the cost, without leaving your home! As matter of fact, this eBook can be read on your computer within the next 5 minutes if you place your order online! So can my decorating eBook. Within just a few minutes, you could be on your way to starting your very own decorating consulting business and saving all that money to put toward marketing your business and getting your first clients instead. And you won't have to wait for someone else to schedule a training at their convenience who just might cancel it at the last minute on you. Doesn't This Make Good Sense? Doesn't it make good sense to study at home at your pace right now? Doesn't it make good sense to spend as little as you have to on training? Doesn't it make good sense to learn from someone who's been in the redesign field for nearly 20 years and has personally developed this website with hundreds of free tips, training programs and tools to help you get started on a profitable business venture of your own? If you agree, keep reading. You're at the right place. I have been redecorating the homes of my clients in Southern California, using the furniture and accessories they already own, since 1986 and I know how to do it and do it well. I'm ready to teach you and save you from making mistakes and save you from wasting your hard earned dollars at the same time. It doesn't matter if you're already an interior designer or you just love design. I have structured my two eBooks (Decor Secrets Revealed and Rearrange It!) to work together to provide you with all the information and guidance you need to become a rearrangement professional and even start your own business, working from home, creating beautiful homes for clients in your area. I've even taken it deeper by adding other training manuals and tools (which you can get one at a time or all together) that will cover virtually all of the aspects of interior redesign and building a business you're ever likely to need. Later on I'll give you a page you can preview that summarizes my entire program and what's available to you. So What Are You Waiting For? Get Trained by the Top Rated Training Online - Our Programs Are Getting Rave Reviews! this electronic book (which should sell for hundreds of dollars if compared with the high priced seminars) will only be a low, low price of just $99.95 total (downloadable instantly and to be read on your PC or Mac computer) (or $139.95 plus S/H for non-refundable 2017 version of 176 page printed version), our special 2017 Revised Edition rate. That's more than 60% off! Don't want the listing? Get the book only (without bonuses) for $34.95 plus S/H. You should make three times that amount from your first client and recoup your training investment instantly! Don't delay as this price may go up at any time. With the rise in digital theft and copyright infringements, this training is no longer refundable. This is an incredible deal, even at 10 times the price. Where else can you start your own business and literally have almost everything you need for less than $100 and get on-going FREE mentoring by the No. 1 Redesign Trainer in the world??? No where but here! Let's Talk Honestly . . . There is a saying, "When a student is ready, the teacher will appear." I'm not saying you won't get good training in other programs. I do not claim my program is all things to all people. No program can be that. But I just want you to evaluate carefully the differences, especially regarding prices and the future freedom you will or won't have to conduct your business as YOU see fit. Join an organization/association = give up many of your freedoms and possibly the very success of your business. Make an informed decision, that's all (and consider putting your investment into building your business, not in training for it). You're not trying to become a doctor, a minister or a full service interior designer. You're merely learning how to more effectively arrange furniture and accessories for people and collect a fee for services. It's a no brainer. Don't be fooled into thinking it's more than it is. Even a 13 year old could learn this business from me, that's how simple it is. You'll also receive my special email address just for clients where you can get additional personalized help FREE, so if you need help applying the concepts in the training, I'll be able to personally guide you further. Need a Recommended Summary of My Training Options? "Studying your eBook and LOVING it so far. . . . The CD's are a wonderful tool to help me on my way. - June Rouquette"